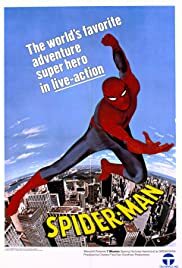 With the powers given by the bite of a radioactive spider, a young man fights crime as a wall-crawling superhero. Two episodes of the TV series "Spider Man" edited together and released as a feature. The prince of the sunken city of Atlantis protects his home from all enemies both above and below the surface of the sea. Yes, it's campy. Yes, the acting wasn't very good and the scripts were dull. Yes, the special effects are *very* dated. It doesn't matter. "Amazing Spider-Man" is one of those time capsules that perfectly captures late 1970s action TV. It was funky, it was campy, it was cheesy, and it was great.